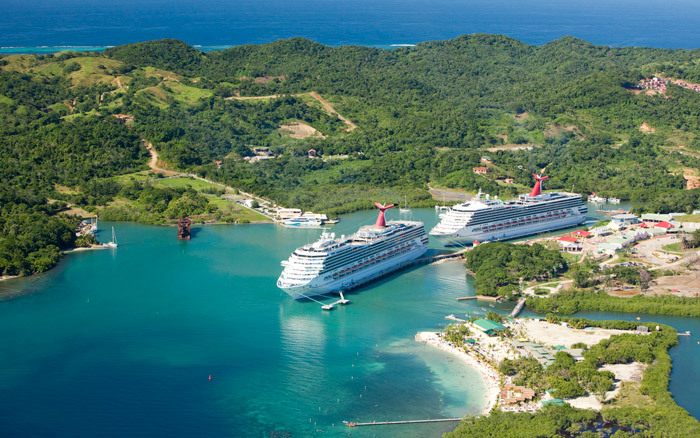 Located between French Harbour and Coxen Hole on Dixon Cove, Mahogany Bay is a popular cruise ship port which is owned by the Carnival Corporation. The port can accommodate two ships at a time and is a well-known cruiseship stop in the Western Caribbean. Mahogany Bay is home to a large shopping area, as well as restaurants and a beach area. There are also plenty of great activities in which you can engage in while visiting the port at Mahogany Bay. Should I stay in Mahogany Bay while visiting Roatan? Although the port offers plenty of entertainment, the best option is to book a shore excursion in order to get familiar with the local culture and explore the island of Roatan. There are many great opportunities for adventure nearby and the drive from Mahogany Bay to the popular destinations on the island such as West Bay Beach and West End is approx 30 minutes and takes you past many popular island sites. Located right at the port, the Magical Flying Chair is a brand new chair lift system that transfers cruise ship guests all the way from the welcome center to the lovely Mahogany Bay Beach. Offering easy access to turquoise ocean waters, the Mahogany Bay Beach is the main beach at the port. If you are interested in watersports, there are a couple of water-gear rental shops right on the beach that rent out all kinds of equipment. A great way to discover Roatan and enjoy all the wonders of the island is with our Best of Roatan Island Tour, this tour allows you to customise your tour to your specific needs and requirements, this is a great option for families and groups as you have no set itinerary and we work with you to create the perfect experience for your group. Learn more about out Best of Roatan Island Tour.